Eating avocados could make you pregnant! Or at least it could help women on IVF treatment to conceive, so researchers have recently claimed. The study, carried out by Harvard researchers, has shown that monosaturated fat, prevalent in avocados, is better than any other dietary fat for would-be mothers. It showed those who consumed the highest amounts of monounsaturated fats were 3.4 times more likely to conceive than those on the lowest amounts. The researchers think the pro-fertility effects could be linked to a reduction of inflammation in the body. 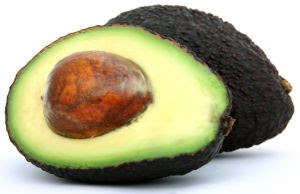 The best kinds of food to eat are avocados, which have a lot of monounsaturated fat and low levels of other sorts of fat, the study leader Professor Jorge Chavarro was quoted as saying. He did allow though the study was a small-scale affair and further investigation would be required before it could be conclusively proven. It covers health issues in full, from basic biology and an explanation of fertility and cycles to outlining what supplements are useful and which ones are not, and how you can maximize your chances by following a healthy diet and cutting alcohol or nicotine intake.